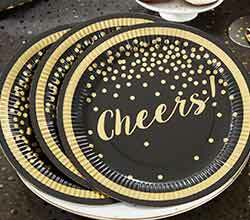 Party food is even more fun on our Kate Aspen Party Time Gold Foil Cheers Paper Plates! 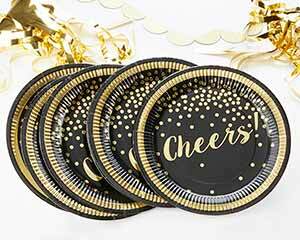 Made from cardstock, the paper plates are strong enough to hold everything from finger foods to full meals, and in sets of 8, they're a great addition to parties both large and small. 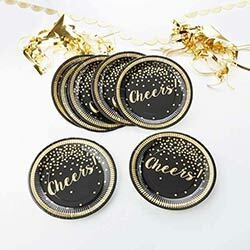 The plates features a sleek black design with gold foil details and the word ""Cheers!"" spelled out in a script font across the center of each plate! 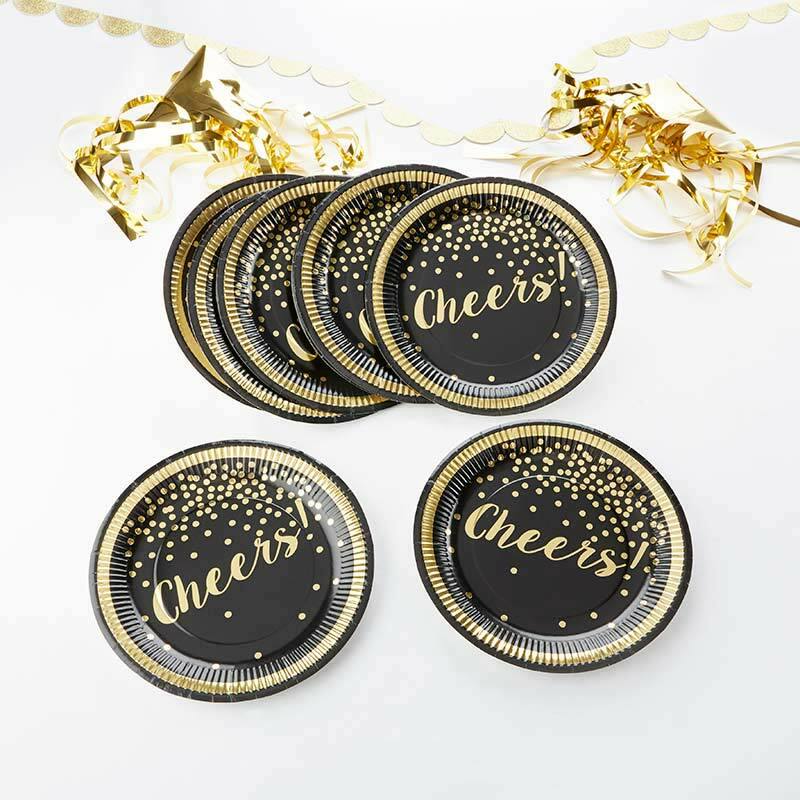 Round black cardstock paper plates with gold foil details, border, confetti design, and ""Cheers!"" message.